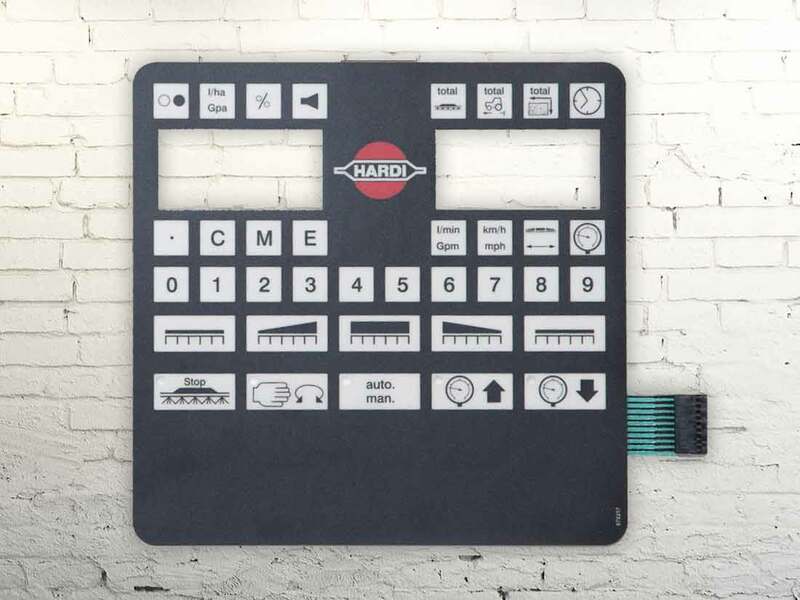 Membrane switches suitable for both indoor and outdoor use, including harsh industrial environments. 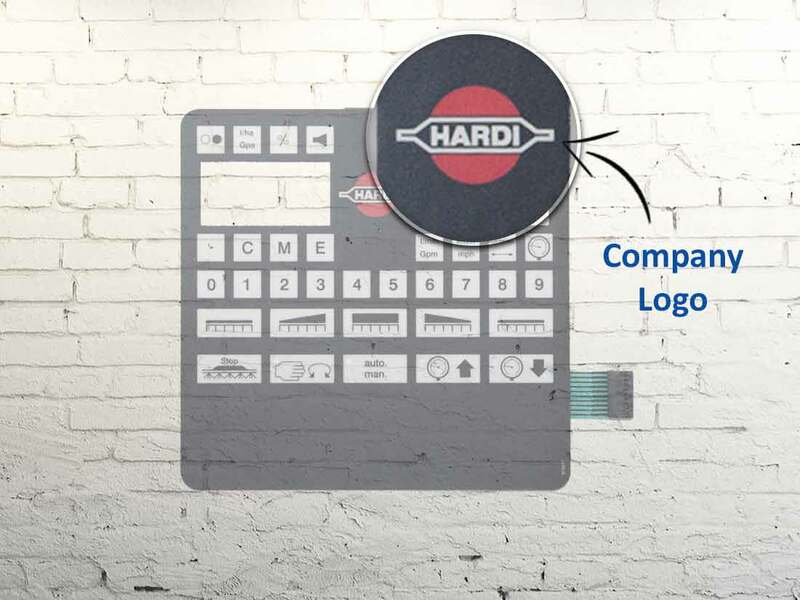 Reid Industrial's membrane keypads are engineered to withstand harsh environments. 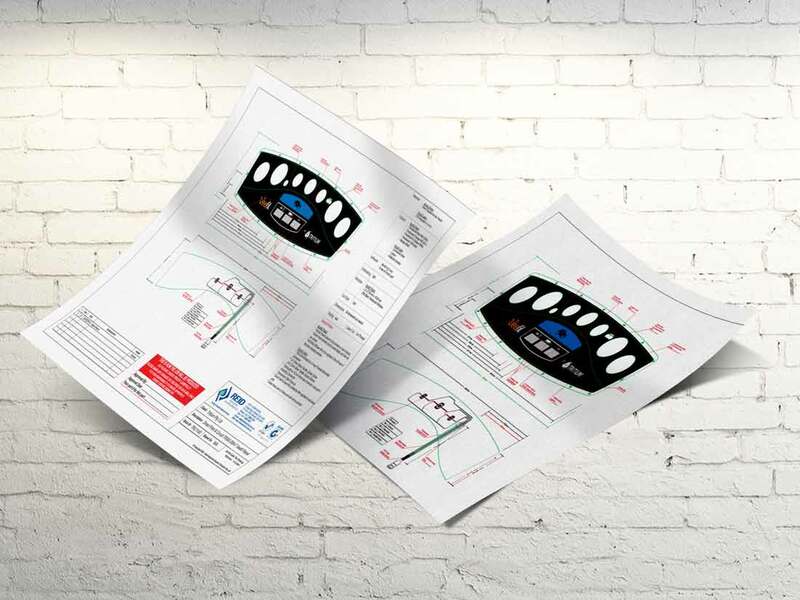 Our circuit designs utilise strict IP sensitive design elements implemented over many years in co operation with some of Australia's best electronics engineers. Our switch assemblies have a proven track record across a wide range of industry sectors, such as medical devices, air conditioning control, marine autopilots, electric car charging stations, aerospace, defence, water filtration, ocean racing yachts and general automation applications. 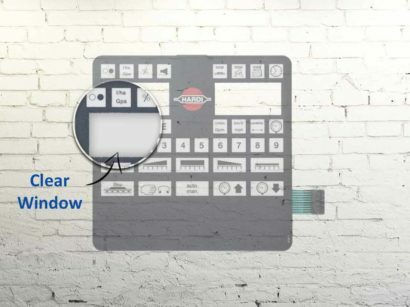 Our customers include TMQ Autopilots, Tritium, Schneider Electric, Actron Air, Boeing Defence Australia Limited, Olectric Systems, SAAB Australia, Lockheed Martin, Australian Defence and many Australian and International electronics manufacturers. What is a membrane switch/keypad ? 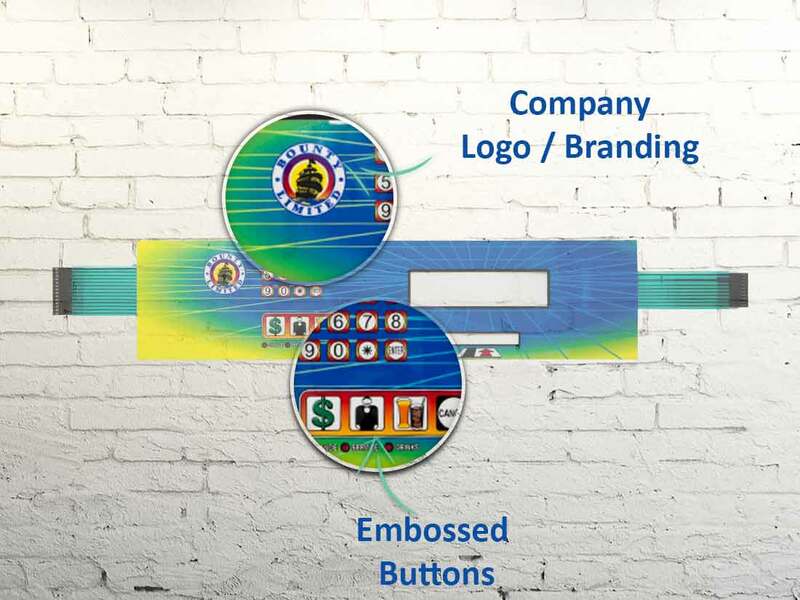 In simple terms, to create a membrane keypad we’re basically adhering a printed overlay panel over a flexible printed circuit. 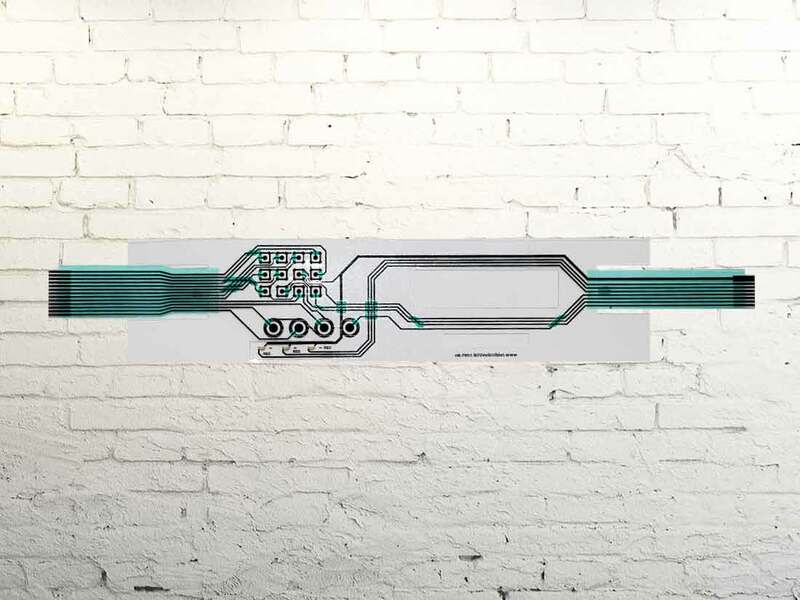 Other technologies such as capacitive sensors can also be incorporated into the assembly. 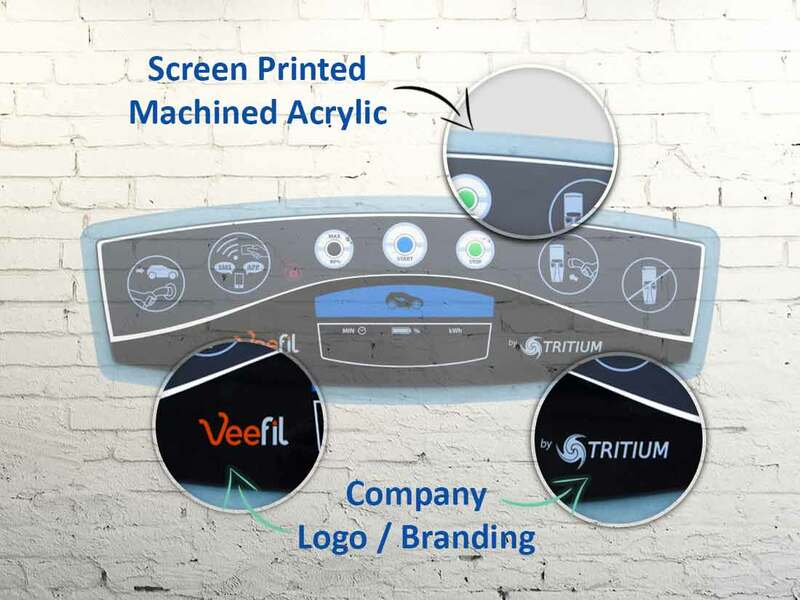 We offer many embellishments such as printed textures, thermal embossing, metal tactile snap domes, Duraswitch, integrated back lighting, embedded SMD components. 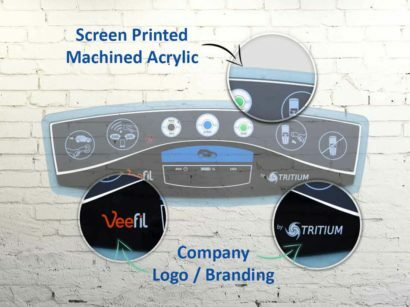 We know how difficult it can be to get your head around all the technical and design concepts relating to flexible printed electronics. 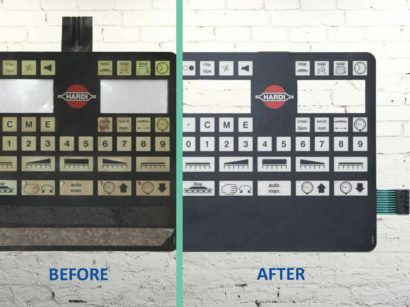 So feel free to give us a call and let us step you through our process that will ensure your next membrane switch project is delivered on time and hassle free. Membrane switches are an economical alternative to conventional mechanical switches. When engineered correctly, membrane switches are a hard wearing and reliable form of switch technology used extensively across a wide range of electronic applications and industries. Proven and compact, our membrane keypads are manufactured from MacDermid Autotype polyester film and can incorporate embedded smd components and back lighting technologies. 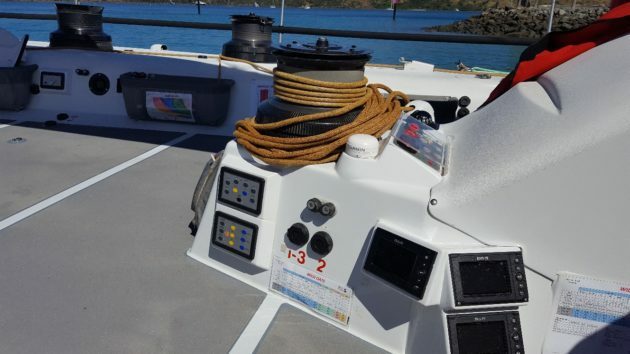 Our customer, Olectric Systems Pty Ltd is a Sydney based Marine Electrical and Electronics business, providing premium services to the marine industry. 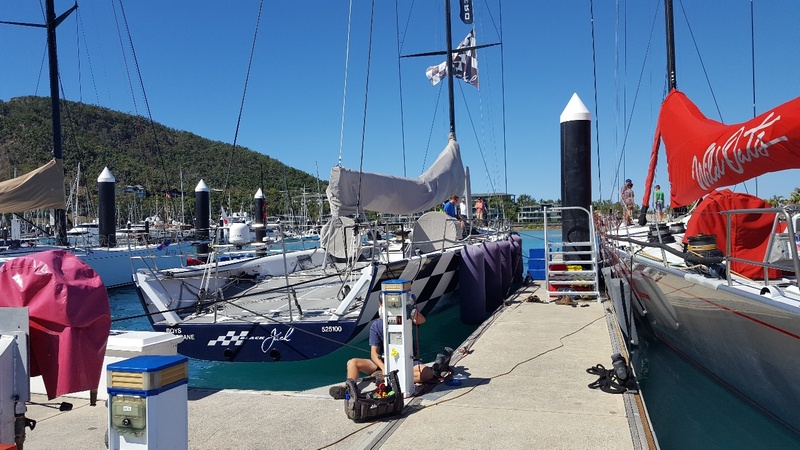 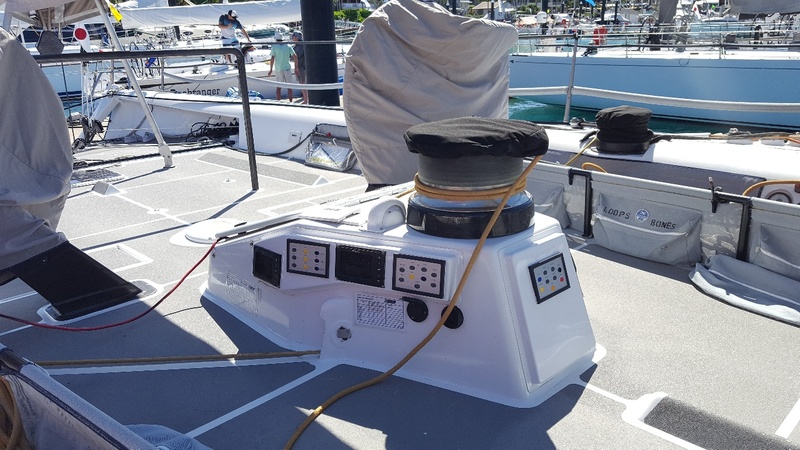 Olectrics Systems have established a reputation for specialising in state of the art race yachts both within Australia and Overseas and have been involved in many racing yacht builds and continue to service and upgrade an existing fleet of racing yachts worldwide. Reid Industrial Graphic Products has a long standing relationship with Olectric Systems and was approached to redesign a range of existing rigid PCB assemblies, initially for maxi yachts Wild Oats and Black Jack, however we have now gone on to refit several other yachts . 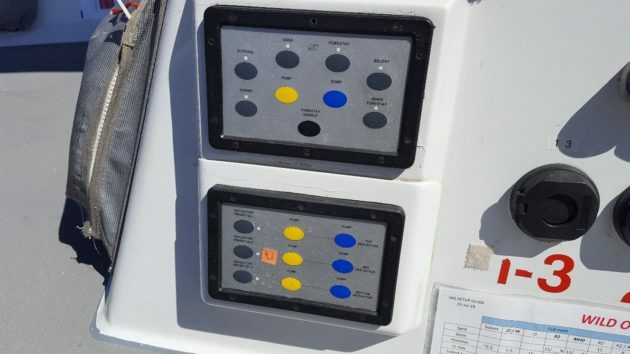 The switch design required engineering to withstand the harsh salt water environment at sea and the rigorous demands of the grinders and other operations on deck. Utilising our strict IP design technologies, the outcome has been a series of compact weatherproof membrane switch assemblies incorporating embossed graphic overlays, SMD Led’s, and electroluminescent backlighting. 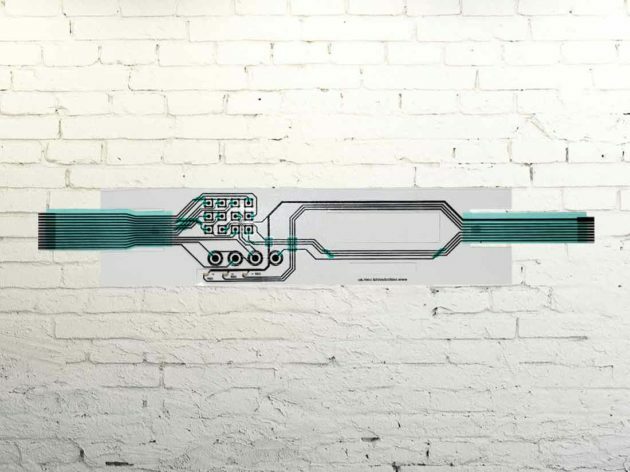 Tritium is a long established customer of Reid Industrial. 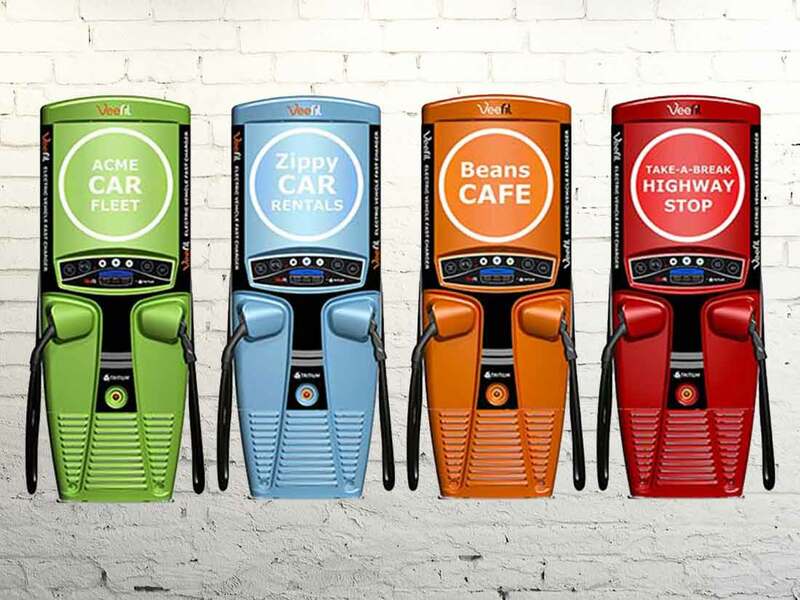 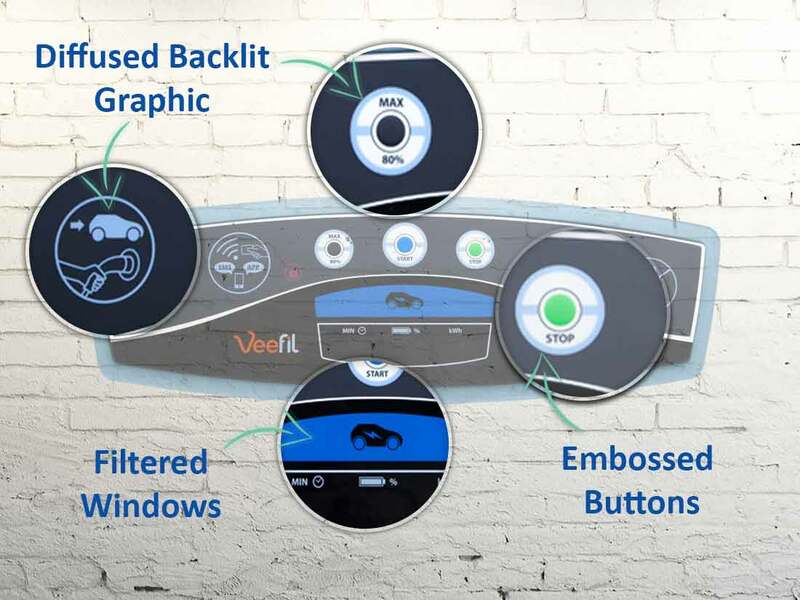 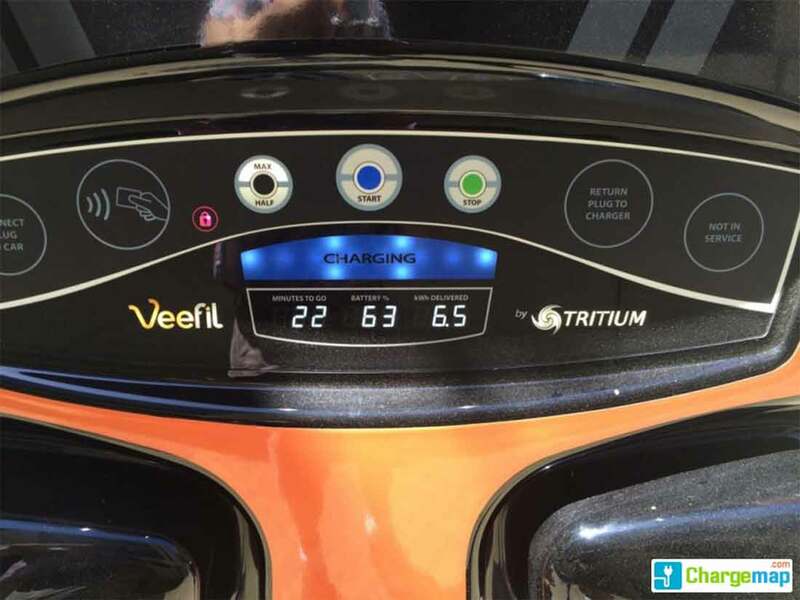 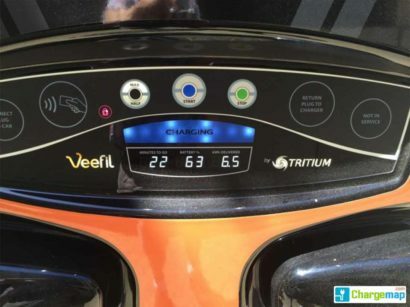 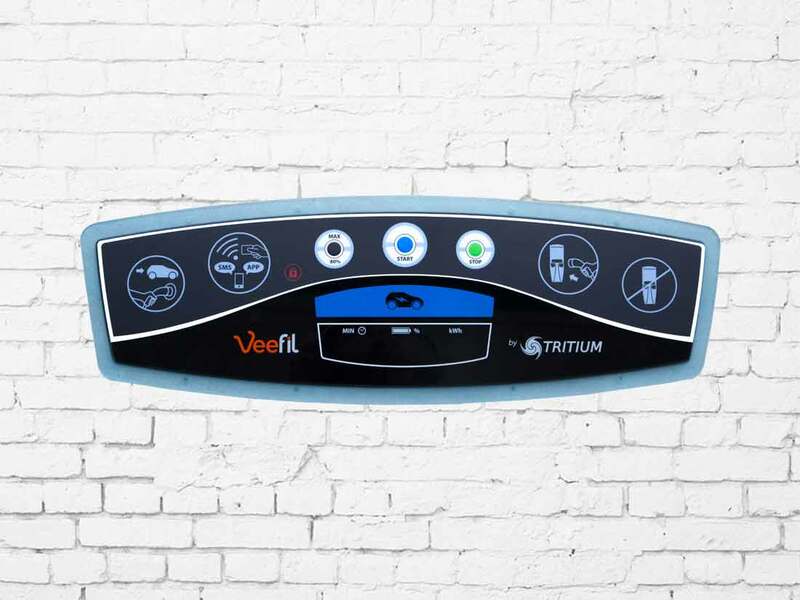 The Veefil Panels are the HMI console for Tritium's vehicle charging stations. 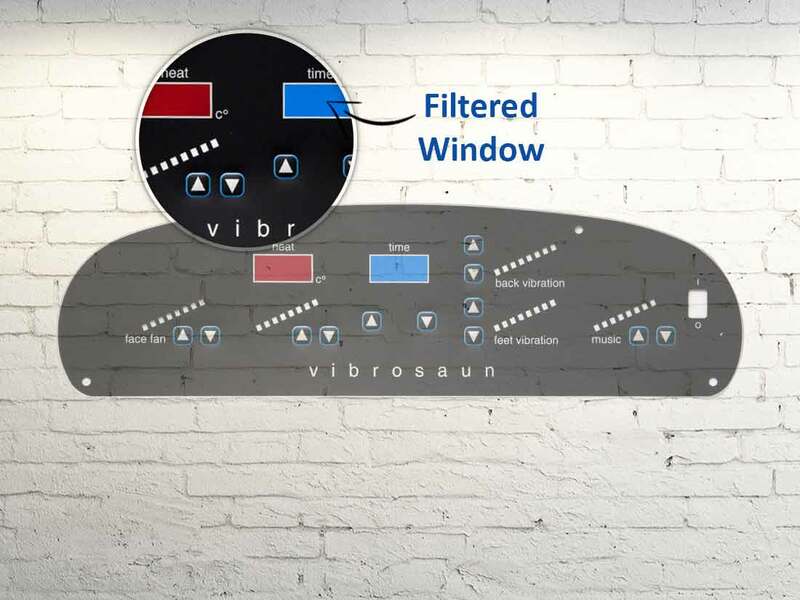 The Veefil panel has a complex multi-faceted design incorporating a reverse printed CNC machined acrylic panel with precisely milled sections that require hand sanding, ensuring backlighting is evenly dispersed through the panel. 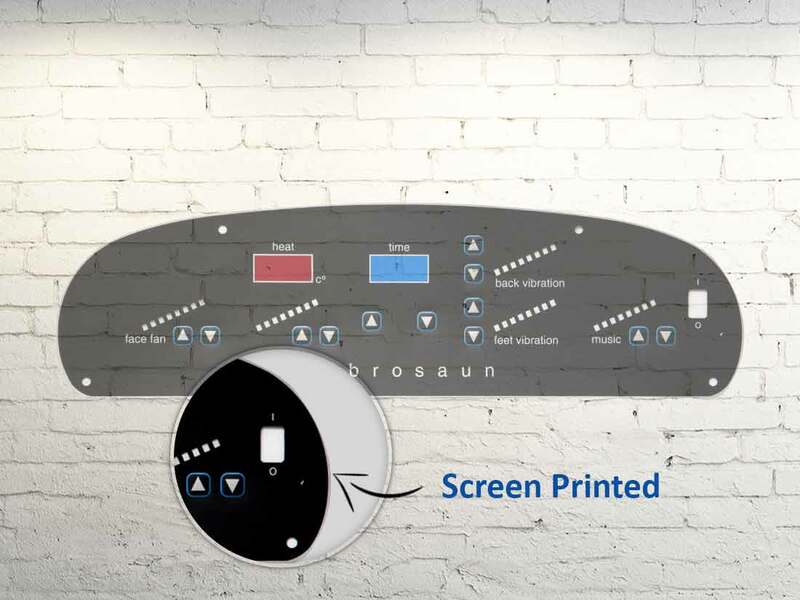 A membrane switch incorporating embossing, metal tactile domes and transparent sections for backlighting illumination is fitted into the machined section of the screen printed acrylic panel. 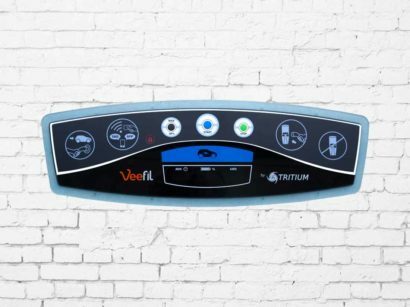 Tritium commenced prototyping this product with another manufacturer due to Reid being unsuccessful due to price. However they experienced ongoing supply and quality issues and came back to Reid for advice to rectify the problems and to ensure smooth transition to the production phase, as their production was ramping up. 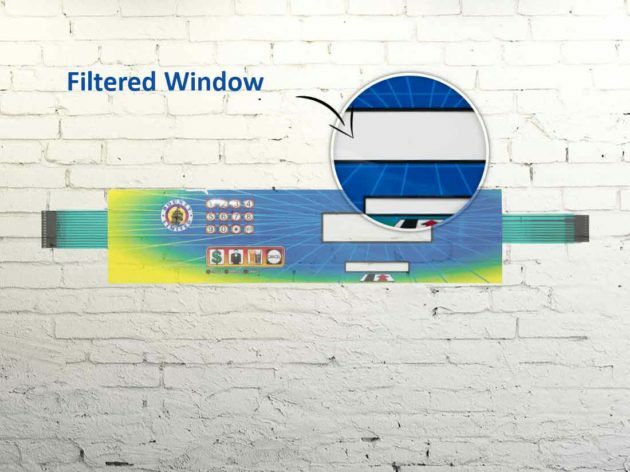 The design brief also required Reid to manage CNC routing of the acrylic backing panels, which was initially subcontracted and is now manufactured in-house. 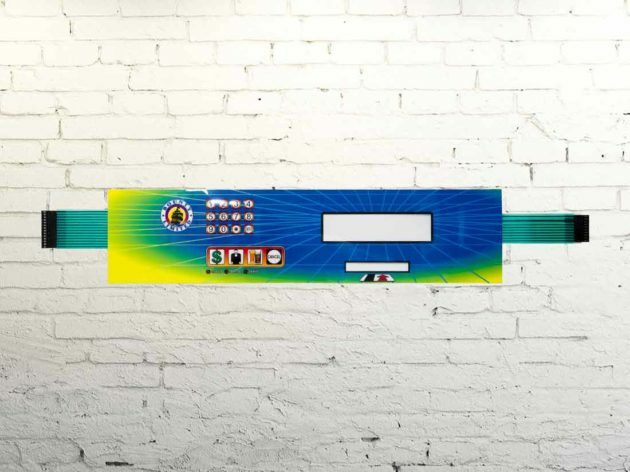 This interface panel is used in the gaming industry for service and member loyalty scanning. 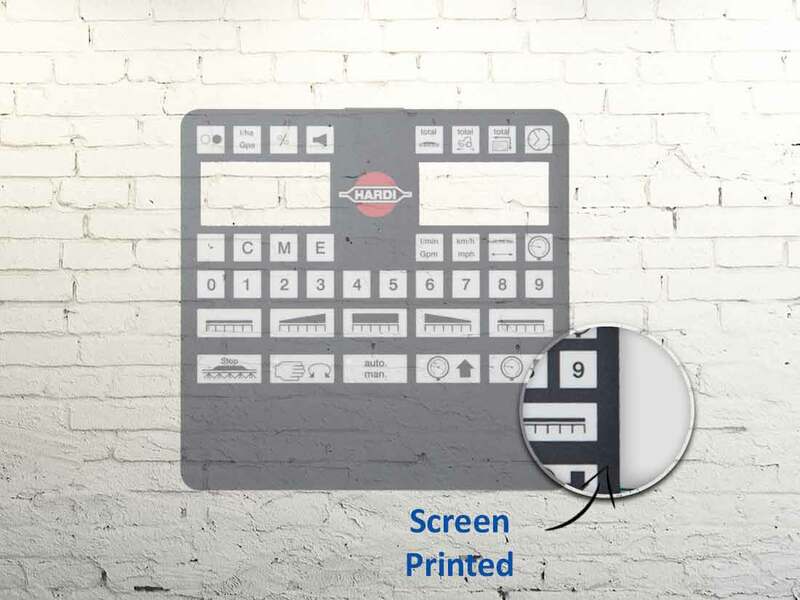 This keypad utilises hybrid technologies and has a digitally printed anti-glare face panel with selected screen-printed transparent apertures. The circuit layers consist of an RF shield layer and a circuit layer consisting of 3 x SMD Leds, metal tactile domes ensure a positive tactile response for gaming patrons. 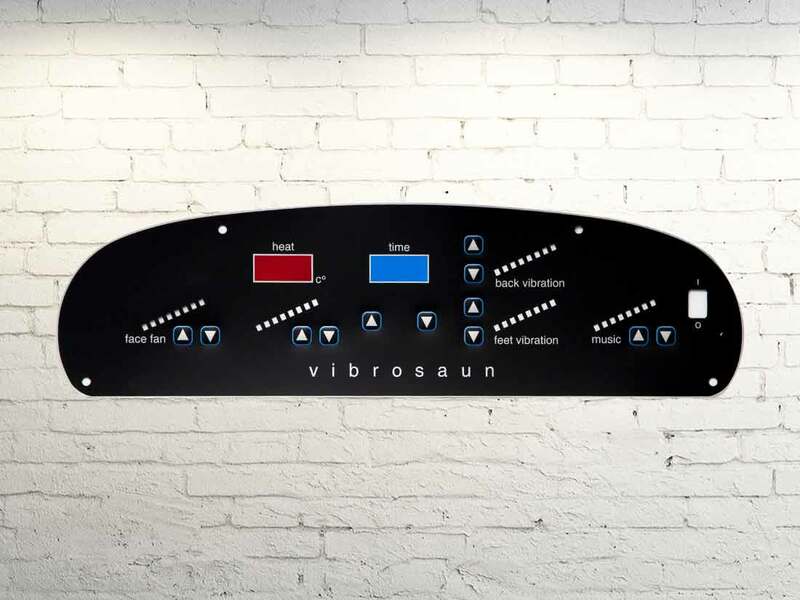 This panel is the user console for a personal sauna that combines massage therapy and dry sauna heat therapies. 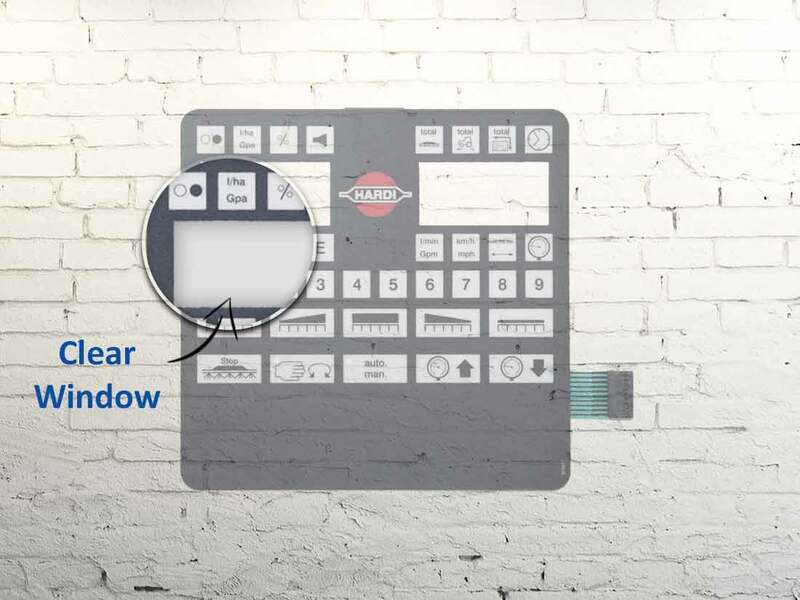 The keypad construction utilises standard materials and switch technologies and incorporates transparent filtered windows and metallic graphics to enhance the user experience. 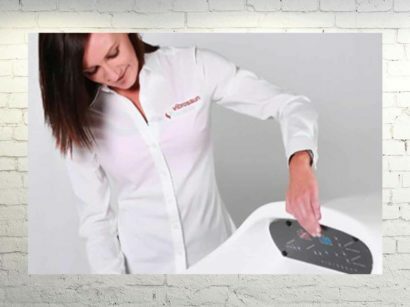 The keypad is supplied to the customer completely assembled on a machined fibreglass backing panel with integrated nylon standoffs for ease of installation by the customer.